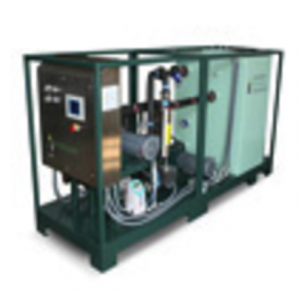 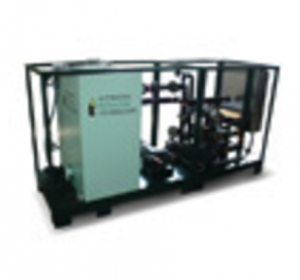 A process control unit (PCU) controls the blending unit which is designed from fairly standard and readily available over-the-counter supplies. 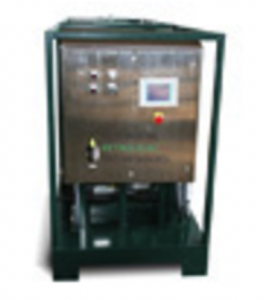 Operating ranges for the Blending Units are pre-programmed into the ladder logic system of the PCU from each product stream and can be remotely monitored. 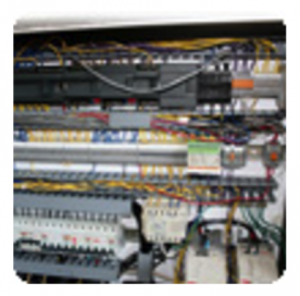 Simple and scalable design allows for inexpensive and convenient outsourcing to select qualified fabricators around the world who meet APT’s strict criteria. 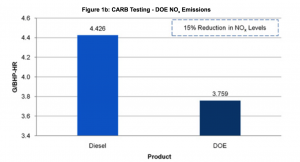 The following are testing results from the Southwest Research Institute under the California Air Resources Board Alternative Diesel Testing Procedures. 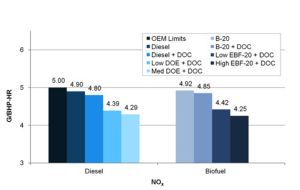 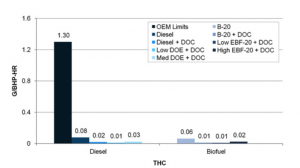 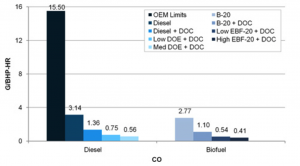 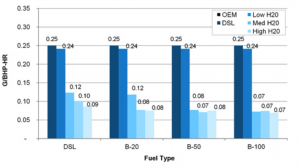 All transient emission tests were conducted according to EPA Federal Test Procedures (FTP) specified in CFR 40, Part 86, Subpart N.
The following are results of an analysis of fuel consumption data from DOE trials of an international oil company. 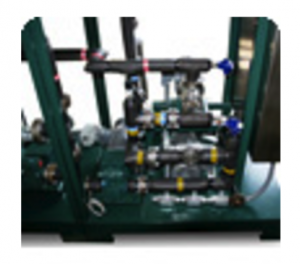 The following are testing results performed on a 2.5 million Btu/hour North American Package Boiler pursuant to the EPA’s Enviromental Technology Verification program at Research Triangle Park. 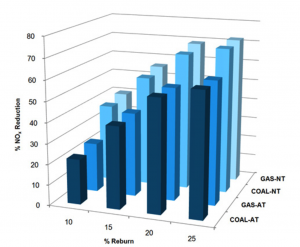 The following are testing results conducted with the Tennessee Valley Authority at the Colbert Steam Plant on a General Electric 54 MW Combustion turbine. 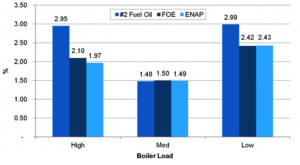 The following are testing results at the Southwest Research Institute under screening procedures, tested in accordance with transient emission tests according to EPA FTP specified in CFR to Part 86, subpart N.
The following are bunch scale testing results from the Energy and Environmental Research Corporation facility in California, which evaluated the potential of APT FOE as a reburn fuel in an electricity scale application. 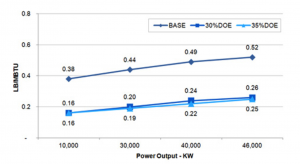 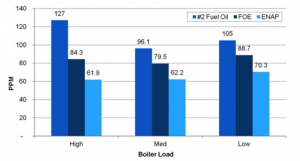 The following are testing results from commercial testing performed on 82 MW oil-fired boiler at a major utility company in the North East United States. 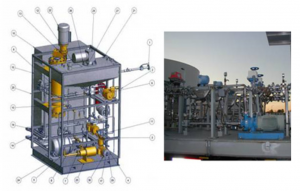 The emulsions were blended on-site at the utility company. 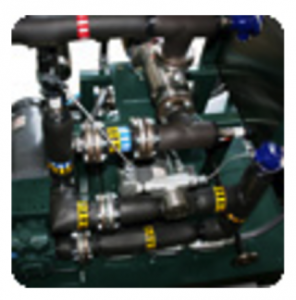 The following are testing results obtained from commercial operations of 250 HP industrial fire-tube boilers. 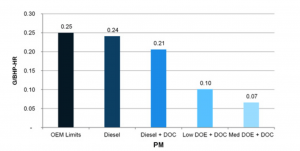 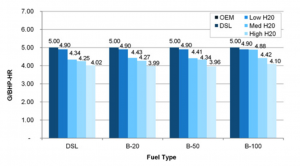 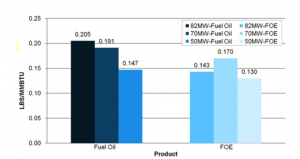 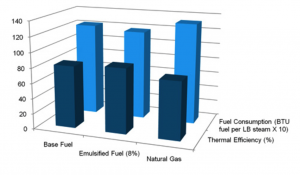 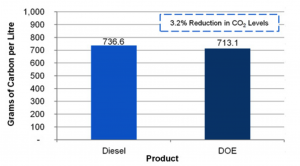 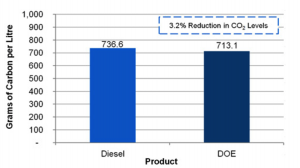 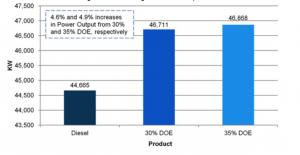 The below figure illustrates the fuel consumption and thermal efficiency results.